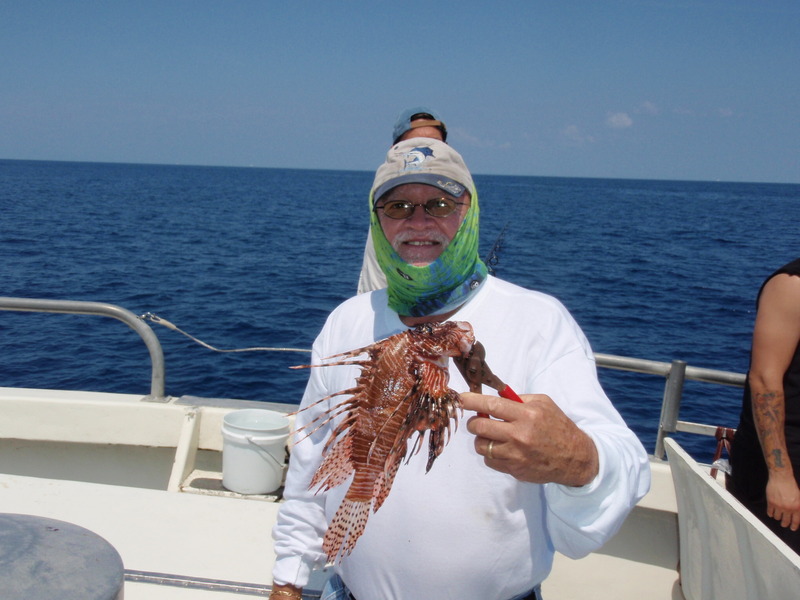 Bobby S. caught the very first Lionfish aboard the Lady K. The non-native, venomous and invasive fish has been over populating the local reefs since their unknown inception in the late 1980’s. The fish above ate a small sardine spooled along the bottom for snapper. They are reported to be excellent eating and according to Bobby “the flesh is very similar to eating Hog Snapper”. 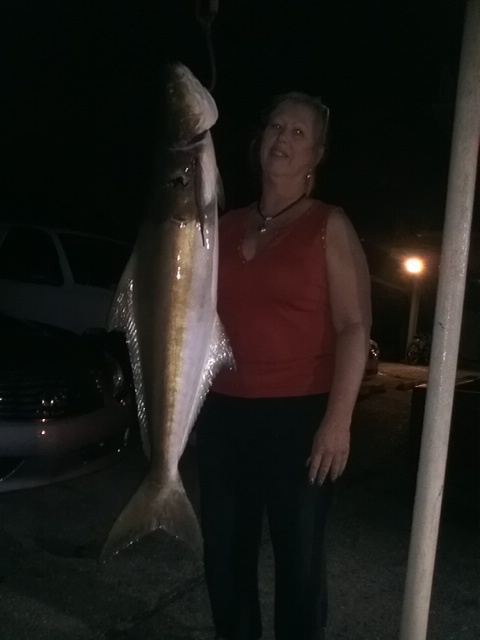 Lady angler Shir-Lee loves fishing bottom rigs at night and has always heard the Lady K crews tell stories of big Cobia being caught by her favorite method of fishing. During a recent night fishing trip, Shir-Lee caught her first Cobia while using a bottom rig baited with cut squid. The fish weighed in at 33 pounds back at the dock. Another angler first and dream come true aboard the Lady K. Excellent catch Shir-Lee!